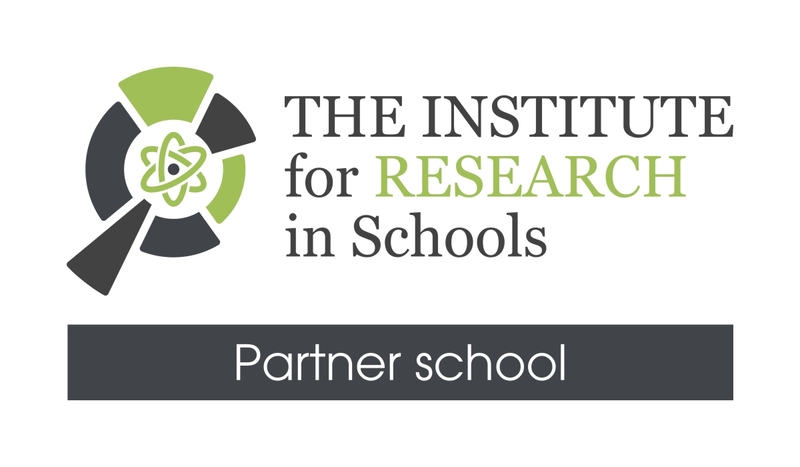 Didcot Girls’ School is now a member of IRIS (The Institute for Research in Schools), which gives young people in member schools access to the world of real, cutting-edge science, by bringing university and industrial experts and kit into school laboratories, and helping students get involved with authentic scientific research. Thanks to ever more powerful technology, today's school students can access top level scientific data, collaborate with scientists around the globe, process information at lightning speed, develop innovative experimental ideas and contribute to scientific discovery. IRIS helps students and their teachers do this. We are delighted that Didcot Girls’ School was designated as a National Teaching School in July 2017 and Rachael Warwick was designated as a National Leader of Education. Introduced in 2011, Teaching Schools are excellent schools that work with partner schools in an alliance to provide high quality school-led initial teacher training and professional development opportunities for teachers at all stages of their career. Teaching Schools raise standards through supporting other schools, especially those in challenging circumstances, and ensure that the most talented school leaders are spotted and supported to become successful headteachers. The mission of our Teaching School is to work in collaboration with other schools to raise standards for young people by supporting schools, school leaders and teachers to be the very best that they can be. DGS is affiliated to the Arkwright Engineering Scholarships, a registered charity that administers the most prestigious scholarship scheme of its type in the UK. The Arkwright Trust identify, inspire and nurture future leaders in Engineering, Computing and technical (as opposed to aesthetic) Design. They do this by awarding Arkwright Engineering Scholarships, through a rigorous selection process, to high-calibre students who apply when in year 11. If students are successful, they receive a financial award and the support of a mentor through their A Levels as well as opportunities to attend courses and events for Arkwright Scholars. They are then ideally situated to pursue Engineering, Computing or technical Design at university or through a higher-level apprenticeship and to pursue careers in the field. Arkwright Engineering Scholars have achieved excellent academic success and made enviable career progress throughout the twenty-five years of the scheme. In that time The Arkwright Trust awarded over 4100 Scholarships. We are delighted that our first two applicants, Hilary Griffiths and Vanessa Taylor are both now Arkwright Scholars. We are delighted to have been chosen as one of only 30 schools nationally to take part in the Mandarin Excellence Programme, a government-funded five year programme to teach Mandarin intensively to students from Year 7 to Year 11. Our first group of 26 students are making excellent progress and show great commitment to each of their 4 lessons per week and in addition complete up to 4 hours of homework per week. They also enjoy a variety of enrichment activities throughout the year, both in school and further afield. This builds up to the fantastic opportunity of attending a Summer Camp in China after their second year of study. For the 6th year running, in December 2017, Didcot Girls School participated in the Southern Regional Heat of the HSBC Chinese Speaking Competition in London. This year, 6 students from Year 7 and 10 took part and wrote and performed a play about a tiger and a fox. Although we did not progress in the competition, all students found the experience exhilarating and rewarding. They also impressed peers and teachers by performing in the Whole School Assembly. Well done girls! 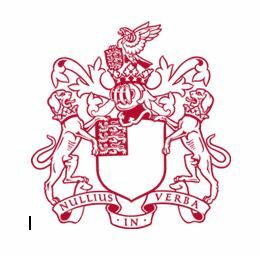 The Royal Society is a Fellowship of many of the world's most eminent scientists and is the oldest scientific academy in continuous existence. It works to support excellence in science, through its policy work, journals, scientific meetings, events, worldwide partnerships and grants and awards. The Royal Society Schools Network comprises teachers and staff from schools and colleges across the UK who are focussed on excellence in their STEM provision. The schools share their experience and work with the Royal Society in order to develop scientific expertise and promote excellence in Science, Computing and Mathematics teaching. Network member schools can gain targeted support for activities including access to scientists from the cutting edge of industry and academia. Teachers also have the opportunity to feed their views into the work of the Royal Society as well as engaging with other projects and activities. DGS has recently been selected as a member of the Royal Society Schools Network and our students have already benefited by helping to judge the Royal Society’s Young People’s Book Award and donating the shortlisted books to the school library. The Science Department at Didcot Girls' School has participated in a two year long research project committed to encouraging more girls to choose A level Physics. We are delighted to have received this recognition of our work - and also delighted that just over 50% of the students studying A level Physics in the Didcot Sixth Form College are girls! The DGS School Council have been 'Highly Commended' in the Speaker's School Council Awards for 2016. The award recognised the achievement of the Councillors' 'Choices for Change' project. The School Council wanted to implement some changes to the school environment that the majority of pupils agreed with, not just the school council members. They also wanted to tap into all pupils’ experiences of being a pupil. The School Council therefore, for the last two years, have come up with a list of possible changes in school and then produced a video showing the location of these changes and explained the reasons for wanting change. They showed the videos in their year group assemblies and handed out ballot papers to all pupils before counting up the vote and then trying to implement the change which received the most votes. Didcot Girls' School is recognised by Music Mark for its excellent support for Music education. DGS recognises the value of a musical education and all students at KS3 pursue Music as part of a broad and balanced curriculum. All students have the option to take Music further at GCSE and then on to A-level. In addition to the curriculum commitment, DGS also has a strong commitment to extracurricular music, with many groups running weekly, preparing for regular concerts. These groups include the Orchestra, various Choirs and a Ukulele Group, are all non-auditioned, allowing anyone, of any standard, to take part. We are proud to have this award as it recognises the outstanding contribution of our students to the musical life of the school. Didcot Girls' School is the only secondary school in Oxfordshire to have been awarded the International Schools Award for seven consecutive periods. The Award was first gained in 1999 and renewed as a testimony to the international partnerships that DGS has across the whole school curriculum.